Angelina Jolie stars as “Evelyn Salt” in Columbia Pictures’ contemporary action thriller SALT. [dropcap]A[/dropcap] barrage of gunfire erupts on the Long Beach Bridge as a group of trigger-happy thugs fire a hail of bullets toward a half-dozen unsuspecting FBI agents assigned to protect the daughter of a United States general, pinning them inside their SUVs just before a massive explosion rocks the drawbridge. A bloodied FBI agent trapped inside a mangled Chevrolet Suburban on the other side of the melee takes out a gunman with her pistol before realizing she’s outmanned and outgunned. She hands over the little girl but promises she’ll find her, no matter what. About 40 miles east at the Fire Island Lighthouse, a deranged serial killer with a twisted interpretation of Edgar Allan Poe’s literature who was sprung out of jail by equally psychopathic groupies is holding his ex-wife hostage, hell-bent on making her suffer in front of the FBI agent who spoiled his killing spree. The FBI agent, Ryan Hardy, chases the English professor-turned-maniacal killer into a nearby cabin, which soon becomes engulfed by towering flames. Horrific screams piercing through the crackling fire eventually fade as the murderer takes his last breath on one of Long Island’s most popular beaches. At least that’s what we’re led to believe. Both scenes—the former, which was featured in the pilot to NBC’s new hit series The Blacklist, and the latter, the season finale of Fox’s The Following—are examples of the major productions undertaken by television and movie studios daily on LI. The pivotal scene in The Blacklist pilot, edited down to about 2 minutes and 30 seconds, took an entire weekend in March to shoot. Nassau County police had to issue an alert to drivers that northbound traffic would be diverted due to “activity” on the bridge. The producers apparently had such a swell time blowing things up on the bridge connecting Long Beach to Island Park that they decided to continue using LI as the backdrop for the thriller. While bursts of gunfire and ear-splitting explosions aren’t a common occurrence, that’s not to say filming isn’t going on. TV shows and movies are constantly being filmed in Nassau and Suffolk counties, albeit right under our nose. Two studios in Bethpage—Grumman Studios and Gold Coast Studios—have become essential to the burgeoning film industry on LI. With a combined 605,000 square feet of space, the studios, which repurposed the forgotten airplane hangers inside the old Grumman aerospace and defense facility, are thriving, especially after their most recent coup, persuading Amazing Spider-Man 2—the largest ever film production in the state—to shoot at both studios for nine months. LI’s idyllic beaches, historic mansions and quaint villages are also popular attractions for location managers, officials say. But it’s the New York State Film Production Tax Credit, which for some productions can be as high as 30 percent, that really motivates crews to film in the region, say local officials and industry experts. Nassau County Executive Ed Mangano held a press conference in September to tout the industry’s success, announcing that TV and film production generated $140 million in economic benefit to the county, citing an independent report. Suffolk, which conducted its own economic impact study, estimated revenue in 2011 from film and TV to be about $316 million. Mostly everyone agrees the industry is poised for further growth. “This is an industry that pays well, generates a tremendous amount of sales tax revenue because the movie industry typically buys everything locally, they stay in our hotels, they eat in our restaurants,” Mangano tells the Press. On a recent visit there are no explosions, unfortunately. Only the sound of hammer meeting steel as construction crews work inside Stage 3 of Gold Coast Studios to meet a January deadline to remove four columns inside the 40,000-square foot space. After Gold Coast secured approval from New York State to allow TV and film crews to use the space in 2010, Laverty was able to convince producers of action thriller Man on a Ledge, starring Sam Worthington and Elizabeth Banks, to shoot inside the Bethpage facility. Crews built a replica of The Roosevelt Hotel inside Studio 1 and surrounded the “hotel” with a green screen that in post-production turned the studio’s gray walls into a spectacular New York City skyline. Laverty still marvels at what film companies can do to turn a hollowed-out, old airplane hanger into a visual masterpiece. The studio’s six stages lend itself to the type of projects the entertainment industry likes to produce because of its high ceilings, thousands of feet of space and an unhindered work environment. Crews never have to deal with the congestion that comes with shooting in New York City or other densely populated cities across the country. As an added bonus, Laverty acquired the miniature Times Square set created for Amazing Spider-Man 2 and brought it to her studio for future films. She notes that one of her biggest challenges was getting people to leave Manhattan for Bethpage. But she’s been successful in attracting them to the suburbs. Most recently, Gold Coast Studios was the site of Winter’s Tale, which is still in production, and the short-lived ABC series, Pan Am. Amazing Spider-Man 2 spent nine months there, including at Grumman Studios. Grumman Studios, famously the site of Angelina Jolie’s spy thriller, Salt, is equipped with seven stages—the largest being Stage 3 at 37,200 square feet—that were all warehouse space until the studio’s president, Parviz Farahzad, a real estate mogul, invested money into the facility, resurrecting the Grumman complex. The facility also features an enormous green screen, which resembles a X-Games style half-pipe. The complex used to be home to Long Island’s largest employer and the birthplace of the Apollo Lunar Module. “We’re bringing it back,” says Grumman Studios spokeswoman Francine Bachmann. Local officials credit the two Bethpage studios and the facility at Sands Point Preserve in Port Washington for bringing thousands of jobs to Nassau County and spurring economic growth. In 2012, the two studios and Sands Point Preserve—where the famous “Horse’s Head” scene in The Godfather was reportedly shot—combined to have 393 shooting days and 1,945 employees on site, according to the Nassau County film industry economic and fiscal impact analysis conducted by Camoin Associates and released earlier this year. Nassau’s film industry generated $140 million and more than $800,000 in sales and hotel taxes, the report boasts. Amazing Spider-Man 2, destined for a monster performance at the box office, was a moneymaking machine for New York State and Nassau, creating 3,500 jobs and casting 11,000 extras. The production was a boon for local hotels, as it required 2,919 hotel nights on Long Island. Crews also threw tons of money at home improvement stores and local eateries—spending a generous $16,000 alone at Bagel Boss in Hicksville. Despite their best efforts, the two Bethpage studios and others in the industry say they can’t do it alone. They give a lot of the credit to state and local officials for stepping up and extending the New York State Film Production Credit, making it easier for private industry to compete with other areas of the country. “What that does is it gives production companies a real sense of certainty about what’s happening in the next couple of years so you’ll see a lot more production that is willing to come to New York,” says Michelle Isabelle-Stark, director for the Office of Film and Cultural Affairs in Suffolk County. The film tax-credit program, which first began in 2004, budgets $420 million annually to attract TV and film companies to the state. The tax was recently extended to 2019. Starting in 2015 it increases the post-production credit cap to $25 million. Producers have spent more than $7 billion in New York since the program was implemented nearly a decade ago. The state estimates that the 163 projects that have applied for the program in 2013 will spend about $2.1 billion during production. It’s that multiplier effect—the money production companies spend on materials, hotels, food and other expenses—that makes the tax credit worth it, officials claim. “We had our busiest year ever in film and television production that the state supported through the film tax credit last year, 2012, and it looks like we’re going to have another record year this year,” says Kenneth Adams, president and CEO and commissioner of Empire State Development, which oversees the New York State Film Commission. “What we’re seeing now is an industry response to the supportive climate,” he adds. Long Island is the second-busiest region in the state when it comes to film and TV production, Adams notes, just behind New York City. He credits LI’s close proximity to the city and studios such as Grumman and Gold Coast. The entryway to Grumman Studios in Bethpage. Local officials and industry experts are not taking anything for granted. Both Nassau and Suffolk offer locations tours, teasing site managers by taking them to picturesque areas around Long Island. Suffolk’s Isabelle-Stark, who runs the two-day tour, gets creative. Last year, she took location managers on a “path through history”-themed tour of some of the historic places in Suffolk. She previously led a group of 20 people on an outing to Brookhaven National Laboratory, Shoreham Nuclear Power Plant, Sagtikos Manor, Captree State Park and Camp Hero in Montuak—all of which she thought could be used for horror flicks. Nassau’s “film-friendly” tours went to the Garden City Hotel, the Allegria Hotel, the carousel on Museum Row, the Cradle of Aviation, and oddly enough, the Nassau County Correctional Center—which boasts four empty cells, a pharmacy, rooms for solitary confinement, a visitors room, and a chapel. “We show them the beauty of Nassau County,” Mangano says. 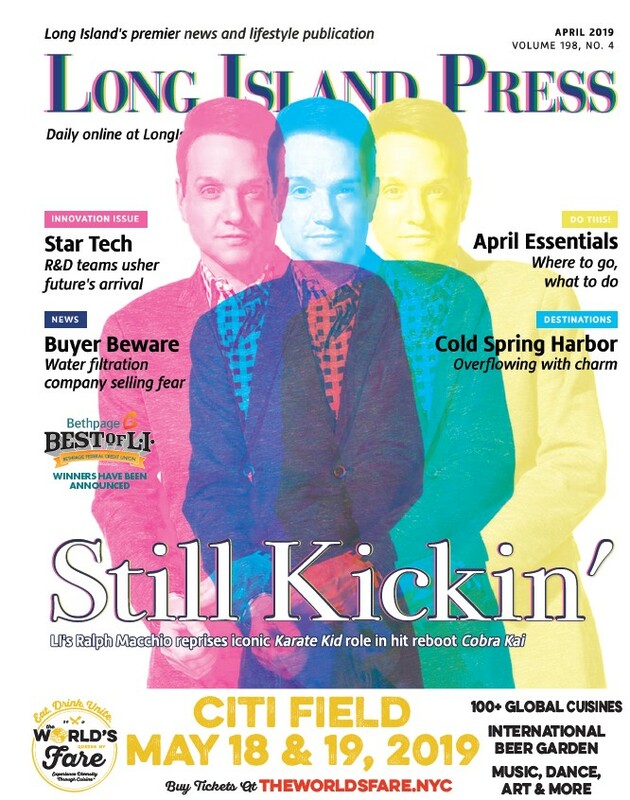 State and local officials predict an upward trend for the Long Island TV and film industry at the same time that Hollywood continues to lose film production, according to The Guardian, which noted in a recent article that “aggressive tax breaks” from other states is contributing to a decline there. “The tourists still come but what they’re looking at is the past. It’s an illusion,” a makeup artist told the publication. 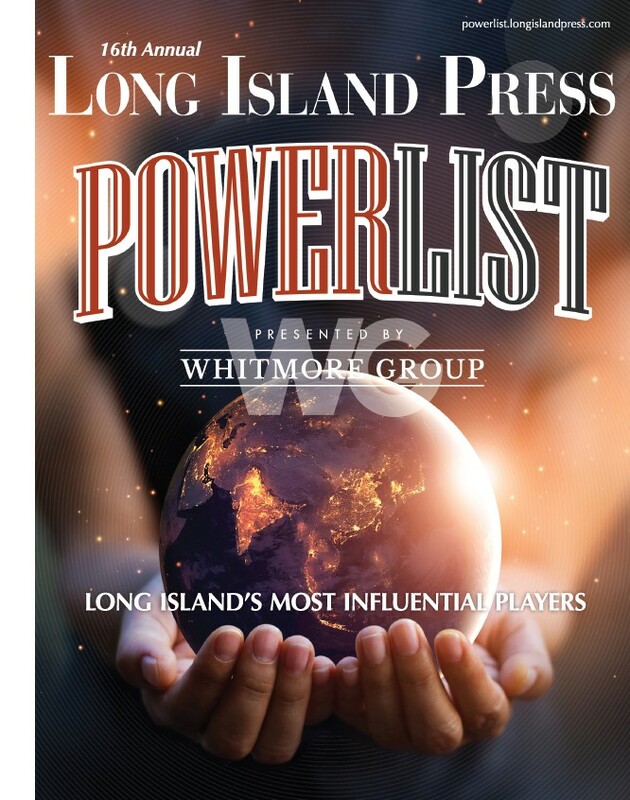 Long Island by comparison continues to celebrate its past—such as critically acclaimed films The Godfather (Sonny was gruesomely killed at Mitchel Field) and Goodfellas (Atlantic Beach)—while setting its sights on the future, without of course revealing what’s on the horizon. Laverty, of Gold Coast Studios, can’t help but step back and think about how the industry impacts the local community. Next articleYour Stupid Halloween Prank Isn’t This Good. Or As Well Choreographed.